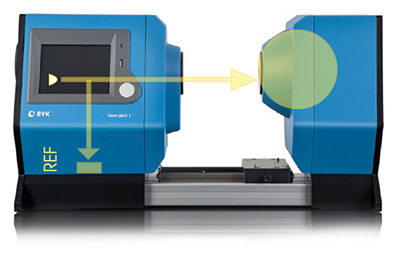 Reference beam, self-diagnosis and enclosed optics. 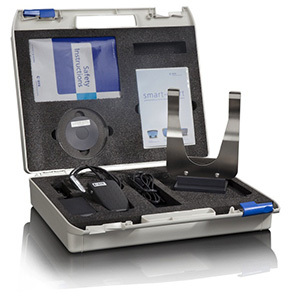 LED light source assures long-term stable results for many years: 10 year warranty on the lamp life! 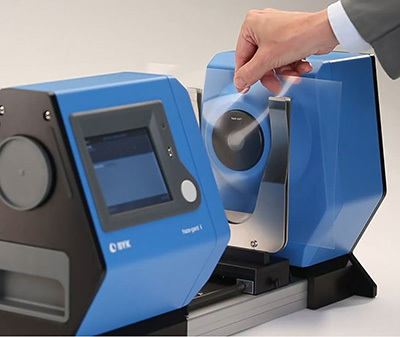 Automatic, long-term calibration operator friendly and safe. Symbols to select a menu function. Fast change and positioning of samples. No influence of ambient light. 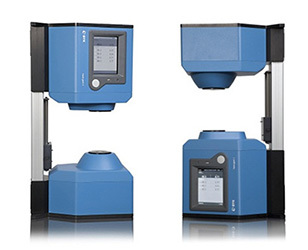 Sample holders for taber abrasion test and cuvettes for liquids optional. Customized sample holders can be easily attached. Complete statistics with averaging, min / max, standard deviation. 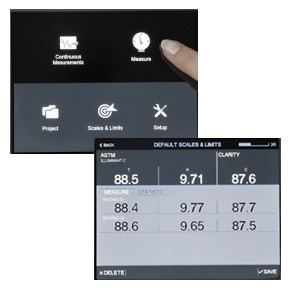 Limit input for different product specifications with colorful Pass/Fail analysis. Direct data transfer via USB-port to PC. 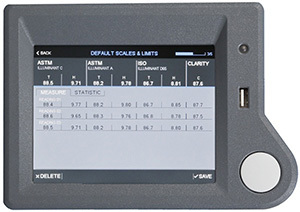 Direct LAN connection to your network for further analysis in Laboratory Information Management Systems (LIMS). 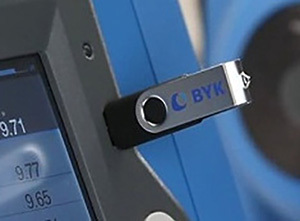 Save data on a USB-stick. 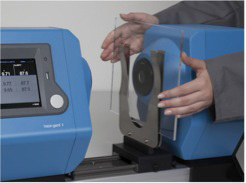 haze-gard i displays all results simultaneously well prepared for any customer specification. Whatever the task, smart-lab haze will do it for you. From simple data tables of single test series to trend reports over time anything is possible. Define your product specifications in standard management by setting up product groups with Pass/ Fail limits. Measure your products online and get instant QC reports displayed: Data table with statistic and line graph including Pass/Fail coloring. 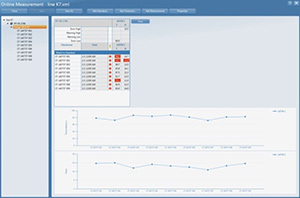 Manage your lab work in projects to show production process stability using trend reports. 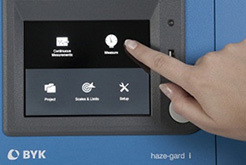 Transfer product specs and projects to haze-gard i and vice versa for daily work management. Shown with optional versatile sample holder - not included. 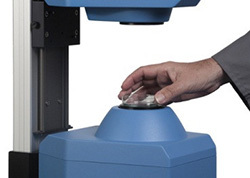 the abraded area in the measurement beam.